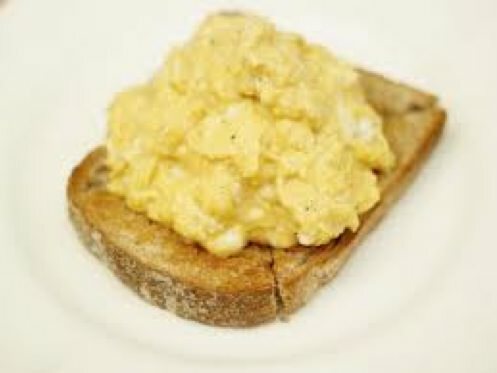 Good scrambled eggs are delicious at any time of day – breakfast, lunch, or teatime! The secret is to cook the eggs slowly and to stir them gently. If you have a ‘non-stick’ pan use this for scrambling eggs, as an ordinary pan can be difficult to wash up. Follow a recipe; follow food safety & hygiene rules; using measuring spoons and cups; crack an egg; beat an egg; spread with a knife/spoon; use the hob (with adult supervision); season to taste; tidy away. Break the eggs into a basin; add a shake of pepper and the milk, and whisk together gently using a fork. Heat the margarine gently in the saucepan until it has melted. Pour in the egg mixture, leave for a few seconds, then stir gently with a wooden spoon. Continue like this as the mixture begins to thicken. 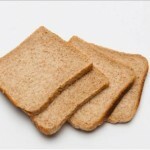 Meanwhile toast the bread, using a toaster or grill (if you are using a grill, brown the upper side, then turn it over until brown on the other side). Spread with a thin layer of margarine. Remove the saucepan from the heat when the eggs are almost set, as they continue cooking in the heat of the pan. Spoon on to the toast and serve at once! To check if an egg is fresh, place it in a bowl of cold water. Fresh eggs sink; stale eggs will float because air will have entered and increased the size of the air cell in the egg. Wholemeal bread provides starchy carbohydrate, which gives us slow-release energy, and is a good source of fibre, vitamins and minerals. 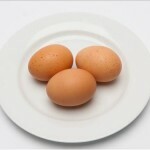 Eggs are an excellent source of protein, vitamins and minerals, and are usually cheaper than meat or fish. We could easily add some vegetables to this dish – for example tinned or grilled tomatoes, grilled mushrooms or baked beans. And a glass of orange juice (150ml) would provide one portion of fruit! 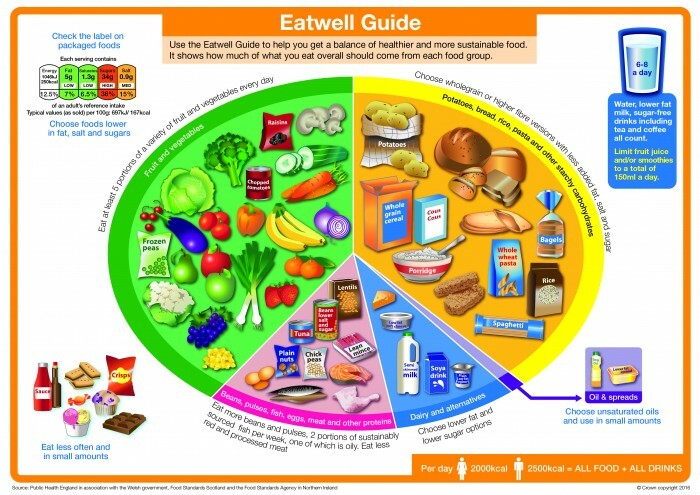 Ask pupils to discuss the main ingredients and identify where they fit on the eatwell guide. Are there any food groups missing? Is there a good balance of the food groups? Is there anything the pupils would add to either the recipe, or the meal, to make it healthier or more balanced? What other types of eggs might the children like for breakfast? Poached, fried, boiled, omelettes ... the possibilities are endless! Ask the children to devise an egg-themed breakfast menu.